Fill in & print off crossword by 31/3/16. Return by email, post or hand in at the Nursery. 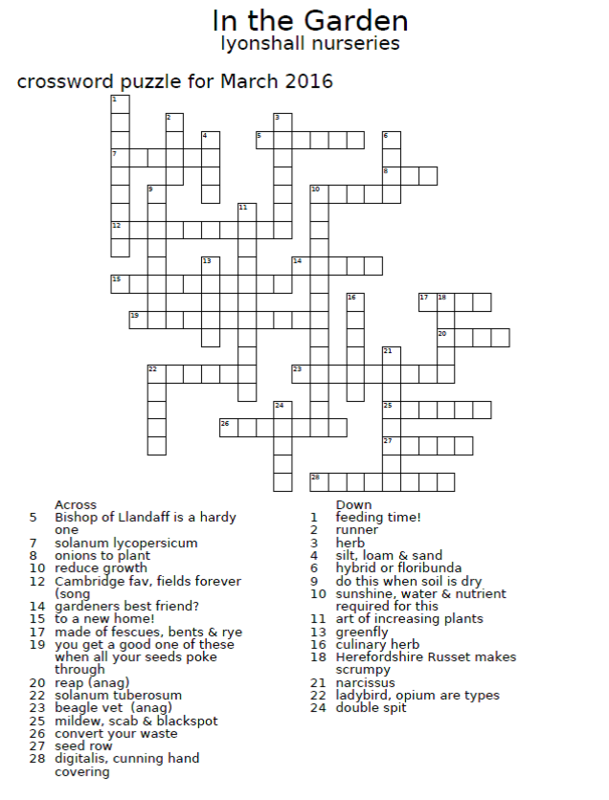 Please put name & contact details on the completed Crossword. Winner will be drawn from the correct entries submitted by 31/3/16 on the morning of 1/4/16.